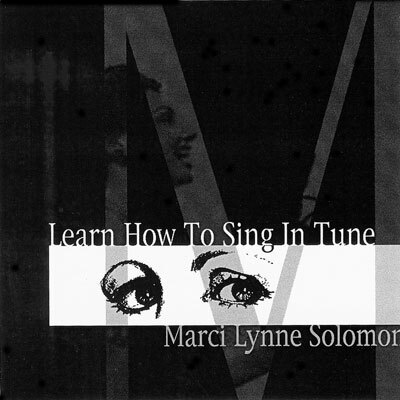 Marci Lynne-Solomon's Vocal Training CD "Learn How to Sing in Tune"
“ Marci knows what it takes to be a great performer and gives you the tool box to always go back to.” ~ Janelle D.
Listen, practice, and learn to sing in tune, as master vocal and performance coach Marci Lynne-Solomon guides and supports you on a singer's journey of self-discovery. Have you always wanted to learn to sing well, or fantasized about auditioning for a part in a musical? Whether you're a beginning vocalist or a seasoned singer, Marci Lynne-Solomon's Learn How to Sing in Tune CD will help you develop your voice and teach you to sing perfectly in tune! Through vocal exercises, proper breathing techniques, and other essential training exercises, you'll improve your pitch, tone, ear, and vocal range. Best all, you'll have fun as you gain confidence and discover the sound and style best suited for you! Contact Marci now to order the CD ($25) by calling 607.564.6067, 512.479.5004, or via email.